Let’s start with the I love shoes part. Greta Christina has written eloquently on this subject already. 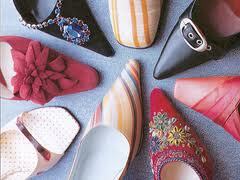 Shoes are a wonderful combination of function and fashion. There’s room for endless creativity in their design and materials, and a boring outfit can be totally transformed by a great pair of shoes. One of the best things about them is that there’s no guilt wrapped up in your shoe size. If a wonderful outfit is a little too small to fit properly, we tend to blame ourselves for not being the right size, for not slimming down enough. My mental response isn’t “this dress was made in the wrong size”, it’s “I’m the wrong size”. With shoes, that’s not the case. If a pair of shoes doesn’t fit, we don’t blame our feet, or beat ourselves up over needing to diet them down to a fashionably acceptable size. If a pair of shoes doesn’t fit me, it’s the shoes’ fault, not mine. So now – why I hate shoes. Especially women’s shoes. There’s my first problem. My feet are short, wide, and have toes that just will not fit into shoes like this. 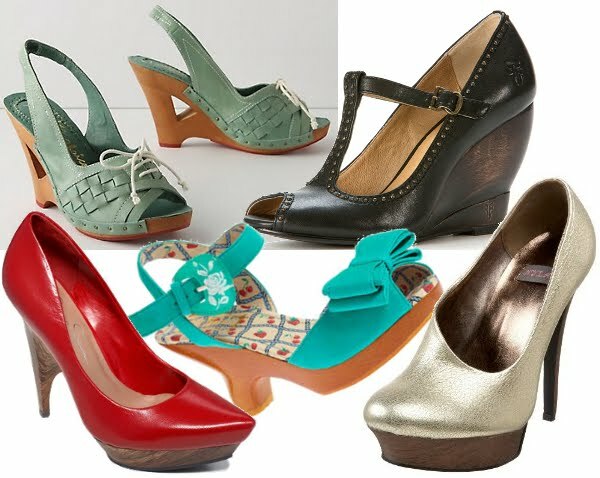 There are catalogs of shoes for ladies with wider feet, but those shoes start at a size 7. Nothing in there will fit my size 6 feet. And because of having an odd size like this, I can’t buy shoes on the internet. I have to try them on, because a shoe that looks perfect in a picture seldom winds up fitting well. And – I need to have adequate padding and arch support in my shoes, or I will get plantar fascitis. One bad bout of that a few years back taught me that lesson. And I’m done with high heels. Some women say that heels make them feel more attractive and powerful. Not me. I feel off-balance, distracted by how much they hurt, and restricted in where I can walk and what activities I can do in them. In high heels I can’t cut across the grass, navigate a cobblestone or brick surface, or a grating, or decide to walk someplace when the weather’s nice. I can’t hurry up to catch the subway pulling out, chase a kid, dance all night, or even just stand around for long periods. I have to think more about where I am placing my feet than about where I am going. And being unsteady and slow makes me feel vulnerable, unable to react quickly to what’s happening around me. I have no objection to those people who want to wear high heels and feel comfortable wearing them doing so. But for me, I’m no longer going to put up with reduced mobility, short-term pain, and long term foot problems, just to conform to somebody else’s image of what ladies’ dress shoes should look like. OK, maybe some people like the look of walking around with large heavy blocks of wood strapped to their feet, but I personally think this is ridiculous! Even basic pumps, which I understand and used to wear, now have chunky thick layers added to the front. When I’m looking for shoes, if “chunky” is in the description, I’m just not interested. OK, the high heel problem is gone, the platforms are gone,and there’s still lots of variety avaialable. But- (there’s always a but-, isn’t there) shoes like this are consistent in not having any arch support or adequate cushioning. Ow. And many of them are so low-cut in the front that there’s really nothing to hold them on your feet. I walk funny in these trying to keep them on, and if I take off running, I’ll lose them for sure. They replaced a pair that looked almost identical to them that wore out in a year, that replaced an almost identical pair of naturalizers that lasted ten years. These are completely practical, fairly cheap, and totally forgettable. Sometimes I can find them in the boy’s department, and those usually fit me better. I probably spent more money on these sandals than on any other pair of shoes I have ever bought. They fit like a dream and I can walk all day in them. I also think they’re really ugly, with all of these sneaker-like details included deliberately. I searched for the same feel and fit in something that looked dressier, but nothing doing. 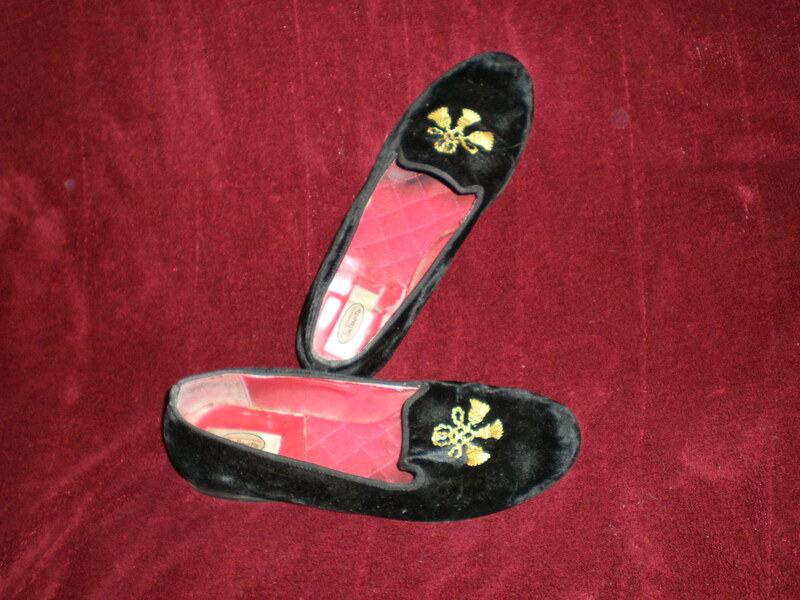 These are beautiful, velvet with embroidery! They (mostly) have room for my toes, they look nice enough for work, they can also go with a fancy dress, there’s enough upper that they are in no danger of falling off. The perfect shoes, yes? 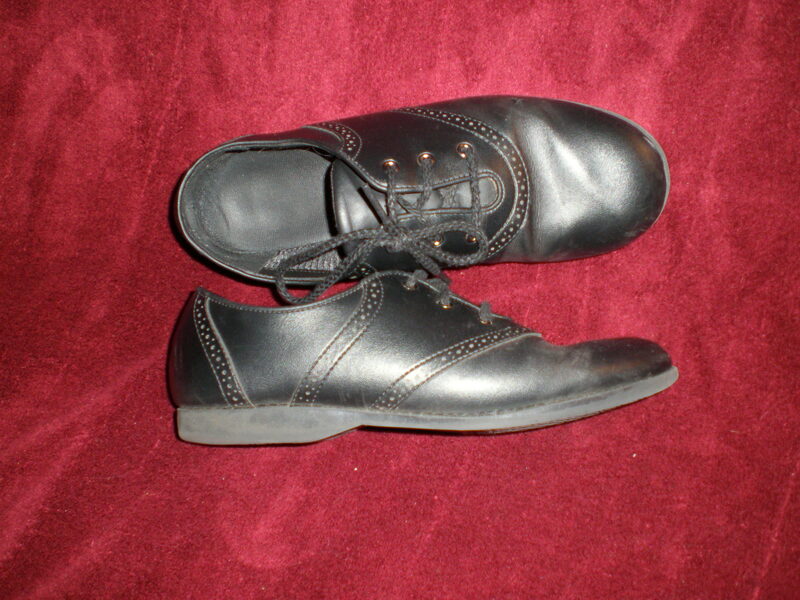 No – there’s no padding or arch support, so I can wear them for an evening, but not all day. 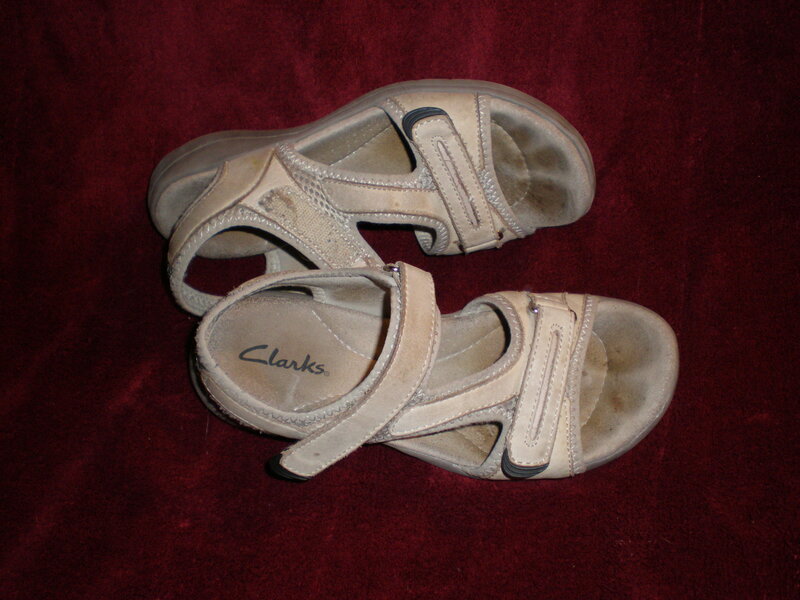 And I’ve had them for years and have almost worn them out, and have not been able to find another pair to replace them. 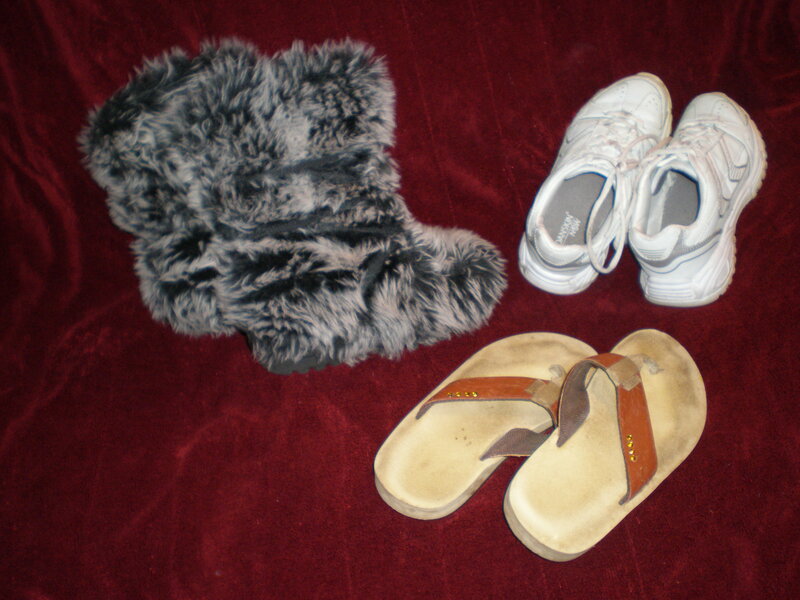 Other options, snow boots, sneakers, flip-flops. All of limited utility and not much good for work. Interesting post on shoes. I don’t know where the idea of sharp shoes came from whereas most of our feet are flat at the top and have toes! I sympathize with anyone on high heels for the reasons you mention. I can’t stand those shoes that add extra layers of crap under the toes. I’m already 5’9″ and don’t want to make it an even 6′ thankyouverymuch! I have the opposite problem – I’m five foot nothing, and could use the extra height. But I have old ankle injuries, so my ankles aren’t particularly strong, and I don’t want to injure them again by falling off my shoes. The soles in the front should be thick enough for some nice padding, and that’s it! I hear you about weak ankles. I bought a pair of platform shoes as part of my Halloween costume last year (Frank-n-furter from Rocky Horror) and I walked around like a slow baby giraffe all night for fear of breaking my ankles. One of my feet is a size 5, the other a 5.5. I have extremely high arches. I could have written some of this post verbatim. There are so many pretty shoes that I will never be able to wear, ever. I think people might assume that the Converse part of my name is because of the 10th Doctor. It’s not. I’ve worn chucks since high school. For some reason, they are some of the only shoes I can wear pretty comfortably for an extended period of time. I own three pair: purple, grey, and blue. It doesn’t help that one of my feet turns in when I walk. I used to walk into people next to me when I was a kid. This I probably more information on my feet than you care for. Sorry. Needless to say I thought this was a great, relatable post. How about the world’s smallest pair of jungle boots?